Is the weather heating up where you live? When it gets warmer, I lean towards light, flavorful, veggie filled dishes that are easy to throw together and enjoy. This is the perfect pasta for a weekend feast with friends, or a more intimate dinner as it keeps very well for leftovers. Best of all, it has all of the ingredients you need in one meal - simple and effective cooking that happens to be delicious. Heat one tablespoon oil in a large skillet over medium heat. Add onion and mushroom and cook until soft. Mix in thyme and garlic and saute for one minute. Mix corn starch with two tablespoons of cold water and pour over mushroom mixture. Stir to combine. Add white wine and cook at a low boil until half of the liquid has evaporated. Stir in 1/2 cup chicken broth and milk and cook until slightly thickened. Add peas, rind, and juice. Season with salt and pepper and stir to combine. Reduce heat to low and continue heating. In a second large skillet, heat remaining oil over medium. Add asparagus, squash, and remaining chicken broth. Cover and steam for 5 minutes or until completely cooked and softened. Move vegetables to the mushroom mixture. Add shrimp to remaining broth and cook until pink throughout. 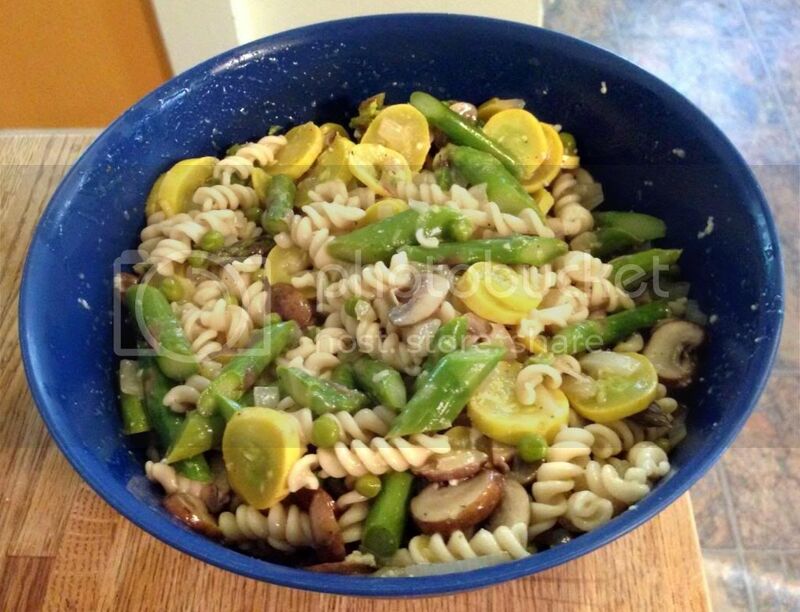 Toss cooked pasta with vegetable and lemon sauce. Serve with 8-10 shrimp and a sprinkle of Parmesan cheese. 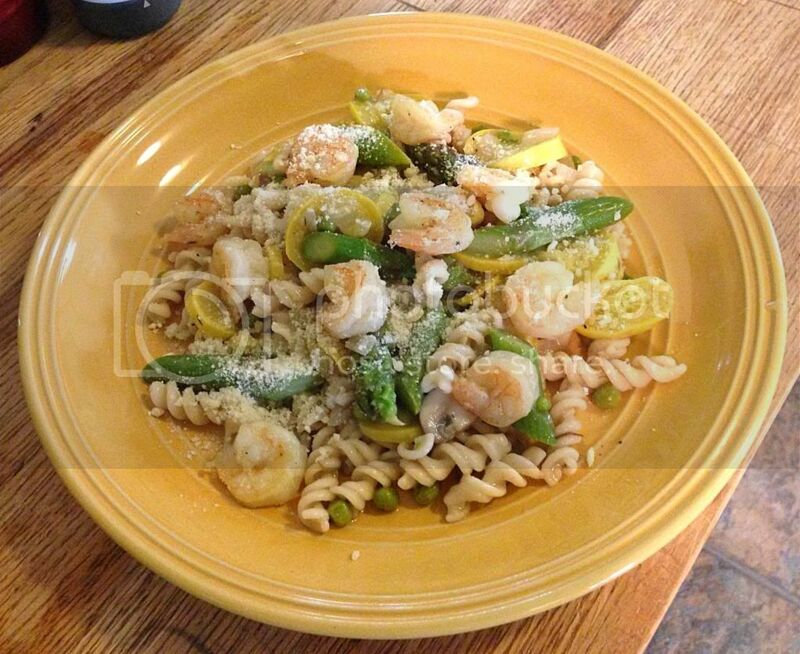 Love lemo, shrimp and pasta so I am definitly making this soon. Thanks for sharing!